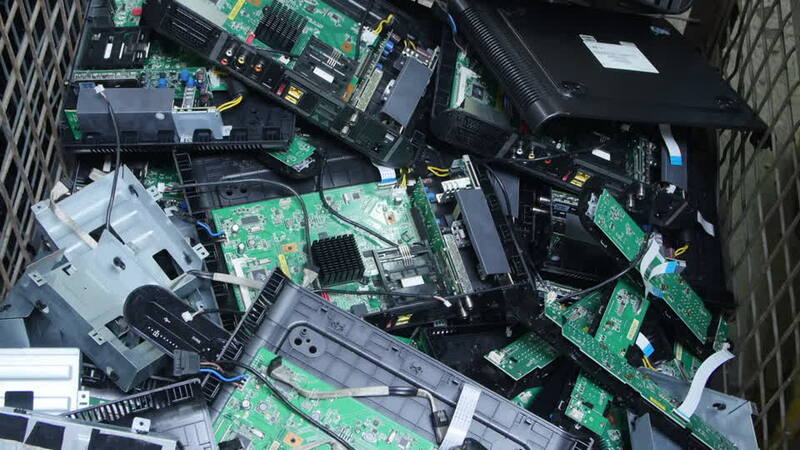 What Should You Do With Your Electronic Waste? Electronic Waste, otherwise known as E-waste, is discarded electronics that have the potential of harming our environment if they are disposed of improperly. Many of these electronics contain heavy metals such as mercury, lead, lithium and other hazardous materials that can pollute the air when burned or leak out into our landfills. Many states, including New York State, have made it illegal to discard devices that contain these environmentally toxic materials including. Common items include televisions, monitors, computers and laptops, printers, tablets, iPods or MP3 players, cable boxes, video game consoles and fax machines. Many organizations host recycling and drop off events for used electronics. The donated electronics are then taken to designated electronic recycling facilities where they are properly disposed of or recycled. You have probably wondered what to do with your old phones, printers, digital cameras and batteries after your are done using them. If these items still work, you can donate them to a community center, school or charitable organization that can put them to good use. Before donating, make sure to wipe your data so that your personal information isn’t able to be accessed on the device ends. Make sure your city’s sanitation department is E-Steward certified. If they are certified, check to see if your town’s sanitation department has e-waste recycling events or pick-up. You can drop off most E-waste at these events unless specified. See what manufacturers will allow you to send back and recycle with them. If they are E-Steward certified send your electronics back! If your item is leaking, pack it in a larger container. Use an absorbent material such as newspaper, to soak up excess fluid while wearing gloves to protect your hands from the chemicals. Place anything with broken glass (TVs, monitors, screens) in separate sealed bags or boxes. Appliances, batteries and light bulbs aren’t usually accepted at general municipal drives, but often times special drives and locations will be established for items like batteries. Improve your office recycling program – have designated bins and receptacles for specific types of waste and recyclable items. Ask your building manager for directions on how to recycle specific electronic materials such as toner cartridges, CDs, hard drives and copiers.